PORTLAND (NEWS CENTER Maine) — While the battle between red and blue has yet to be decided at the voting booth, red was the dominant color on the basketball court. 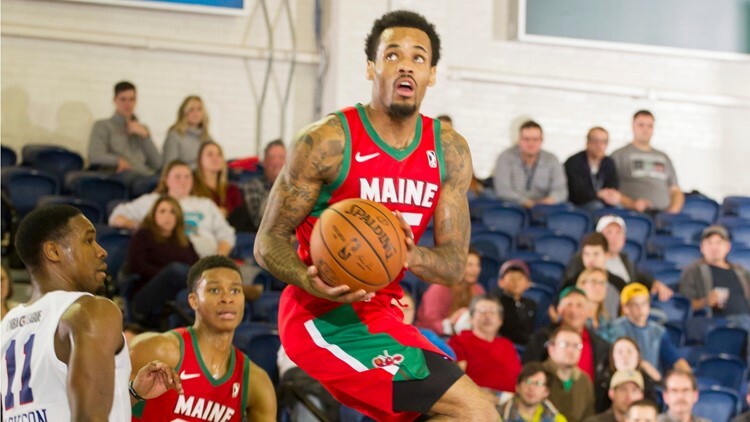 The Maine Red Claws beat the Delaware Blue Coats 132-124 in Portland on Sunday, Nov. 4 for their first win of the season. The Blue Coats had more energy out of the gate and lead by as much as 14 points during the second quarter. The spell broke when P.J. Dozier and Jeff Roberson hit back-to-back three pointers for the Red Claws. The momentum shifted so dramatically that the Claws went into halftime with a lead of 66-63. Having cracked the flood gates of scoring for Maine, Dozier and Walt Lemon threw the doors wide open in the second half. Lemon led all scorers with 29 points, followed close behind by Dozier and his 26 points. The 🍋🍋 had it going this afternoon!